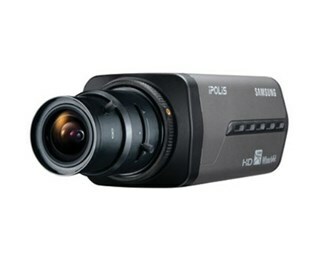 The Samsung SNB-5000 is an indoor/outdoor full HD 720p 1.3 megapixel camera with a compact design. This is a high performance model that features true Day / Night operation. It is durable in handling and provides overall higher-level functionality. The Day and Night ICR function allows you to switch between color and B&W as per changes in ambient lighting, ensuring accurate color reproduction in daylight and enhanced B&W images at night. The Multiple streaming is possible with a choice of H.264 and MJPEG compression methods, providing the option to simultaneously transmit images to multiple locations at various frame rates up to 30/25 frames per second, and at different resolution. Motion Detection function detects the position of the human and the information is sent by video stream. The Samsung-SNB-5000 has many exciting features for users of all types. 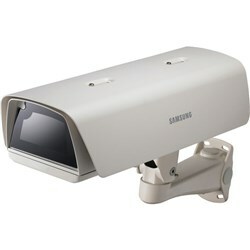 See the Samsung-SNB-5000 gallery images above for more product views. FactoryOutletStore stocks a full line of accessories like Camera Housing for the Samsung-SNB-5000. The Samsung-SNB-5000 is sold as a Brand New Unopened Item.